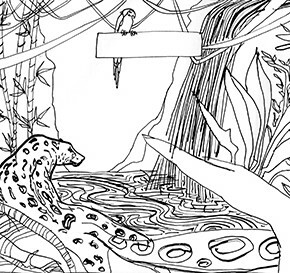 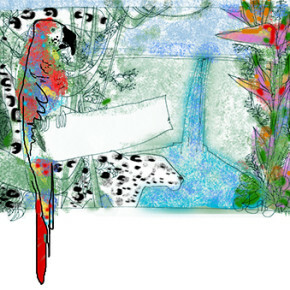 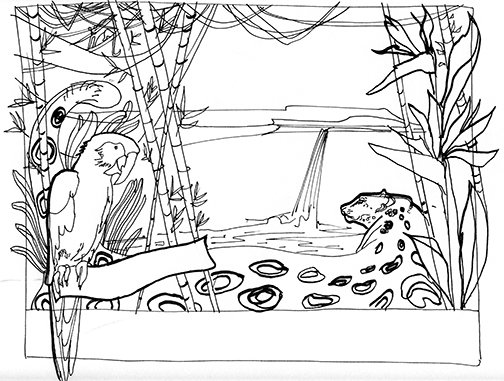 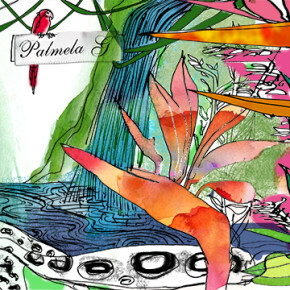 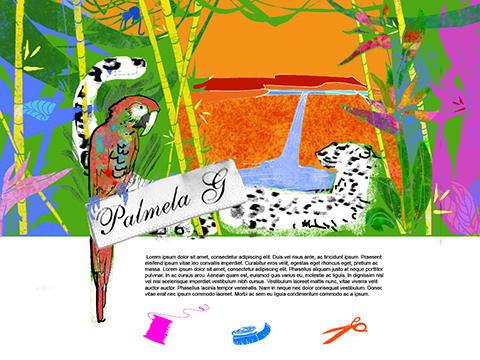 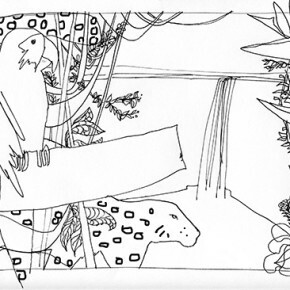 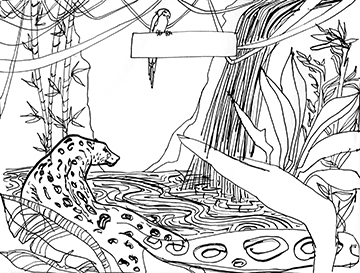 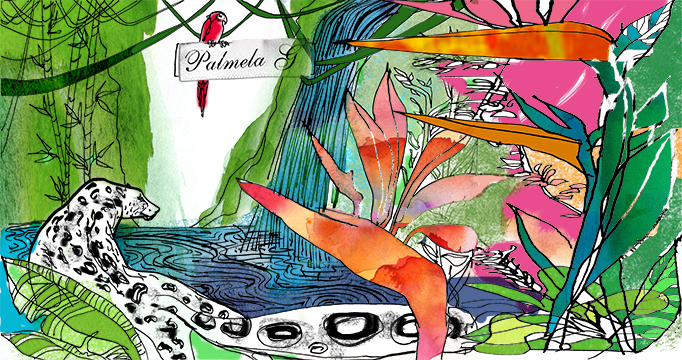 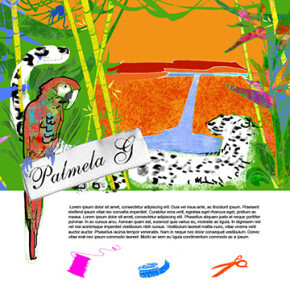 Last year I was commissioned to illustrate a jungle scene for the LA swimsuit designer Palmela G.Â It was, and still is, being used as the splash page on the company’s website, and looks like this: Since sketches rarely see the light of day after the job is done, I thought I’d let mine out and share with everyone. 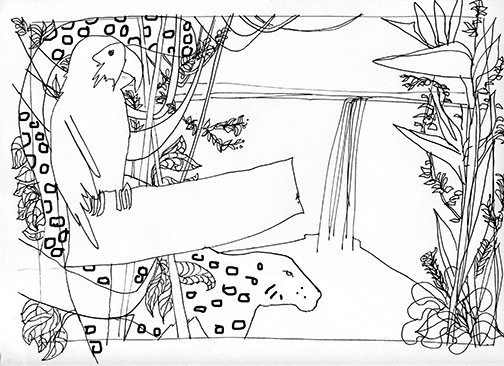 First, I made some line sketches. 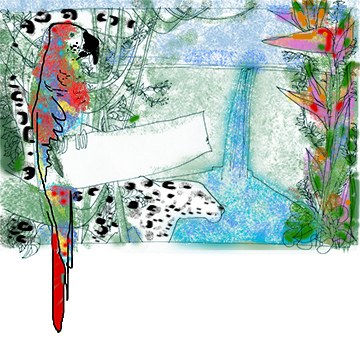 Followed by the color versions. 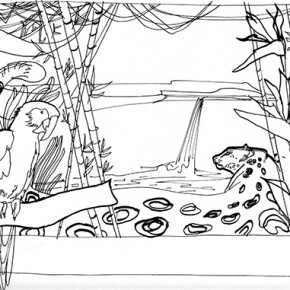 Sometimes I like to manipulate the sketches in the computer for the thumbnailing/sketching phase. 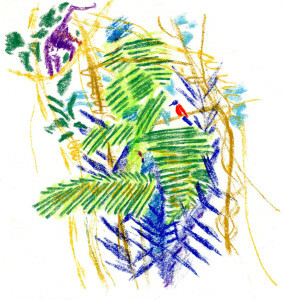 I like the happy accidents that happen, and welcome the change of pace.